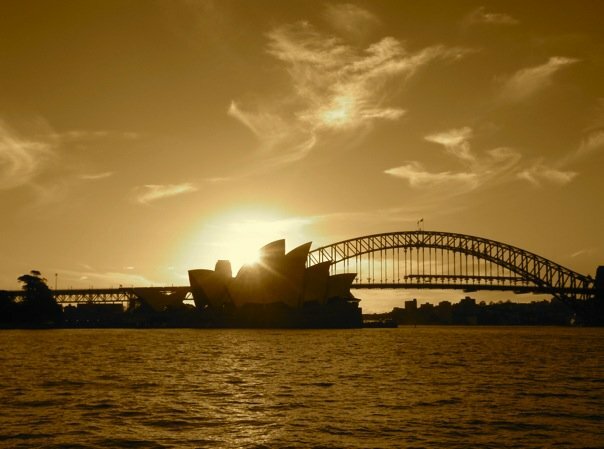 Sydney harbour has been hailed as one of the most beautiful in the entire world. Visitors flying into the city are first met by the harbours never ending blue expanse and the iconic bridges, parks, and buildings that are located along its shores. The harbour encompasses more that a 150 miles of shore line and 30 square miles of water which creates a large bowl shape which is the dominant natural phenomena of the city. A fantastic way to soak in the habour is to ride the Manley ferry, which carries people to the lovely and quaint Manley Beach. Other locations that one can enjoy a great view over the habour include the Royal Botanical Gardens, the Sydney Opera House and the Sydney Harbour Bridge. Though Bondi Beach holds the reputation as Sydney’s main beach, many Sydney locals actually prefer the more quaint, but equally beautiful, Coogee Beach. Surrounded by cliffs, Coogee beach also gives visitors fantastic views over the Pacific Ocean. The beach front is flanked with plenty of great restaurants, cafes, bars, and even a few clubs to keep beach goers who wander off the beach fueled and happy. Also recommended is doing the trail walk between Coogee and Bondi beach along the previously mentioned cliffs overlooking the ocean. Located near to the Sydney Habour is the quaint, cool neighborhood known as The Rocks. Flanked by 19th century buildings and cobblestone streets the Rocks has long drawn Sydney’s hip crowds to its delightful shops, restaurants and bars. A trip recommendation is to be sure to make your way down to Sake, which has some of the best Sushi you’ll find anywhere in town. Then stay around as the bars start to heat up and a Sydney night gets going.